The dream business coaching team has helped hundreds of contractors over the last 30 years. Our model is based on strong business relationships and not systems, because we know that people are more important than process. All of our agreements are month to month, because we know a relationship should not continue unless it is productive. When things become challenging in a business, most people start trying to fix things within the business. They become frustrated because the changes they make don’t work. They decide to dedicate more time and money to resolve the problem but frustrations continue. Many of us feel by working harder and longer or by throwing more money at the problem–the problem will be solved. Sales volume may go up, but profits don’t. Business owners often get to a place where they can’t work any harder and they still aren’t experiencing improvement. Whatever has been set in motion remains unchanged because the person’s basic behavior has not changed. The client’s fundamental belief structure has remained the same. The reason it’s so hard to make changes in business strategies and get different results is that our beliefs, which drive our behavior, remain the same. If your belief system is that you don’t have enough, then everything you do supports that: not enough money, not enough time, not enough control, ETC. The players change and the plot varies, but the basic theme remains the same. Until you change your behavior, you can never substantially change the results. The solution is to look at your behavior to see how it is helpful and how you are sabotaging your results. For example, if you believe that there is a correlation between hard work and the results you want, your business will reflect that. If you believe life can be about doing what you love, your business and your life will manifest that reality. People who love what they do, whether it’s designing software or doing brain surgery often do well in other areas of their life. When you do what you’re good at, you find that other aspects of your life reflect this success. You begin to attract other things into your life that work. Here is why: you are working harder on yourself than you are on your business. You draw into your life the people, places and things that you need to succeed. As you keep working on yourself, you make yourself better and better at what you do. We love what we do and our clients and references are a testimony to our excellent track record. Let us show you how we can make a rapid and profound impact on the future results of your company. We are the best business coaching team in the world and would like the opportunity to prove it to you. 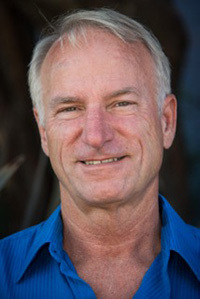 Paul Sanneman is the founder of Dream Business Coaching. He has founded several business coaching companies in the past 30 years and coached more than 400 companies. Dream Business coaching is the product of this experience and his most profound inspiration. Paul has dedicated his life to coaching and believes it is one of the most important relationships for a business owner. His passion for helping clients to make more money in less time and have more FUN, makes him one of the leading business consultants in the country. He has co-founded several businesses including GreenLivingIdeas.com, Pacific Mortgage Consultants, Companity.com and realtimepublishing.com. In each case he has either retained equity or sold the business for a profit. He is also cofounder of the popular worldwide business podcast BusinessSuccessTips.com.